This comment joins you with those who attack religions at a time when religious thought, conscience, prayer and belief should be supported and enhanced, not cut down by scornful statements not researched and reflecting ignorance of the subject. I read your report on Brandon Scott Wolf yesterday in which you make a gratuitous—and false—assertion that the Church of Scientology has in some way avoided paying taxes. Such a claim has no support and no merit and originates with a small number of individuals with bad intentions toward the Church. This recognition marked the end of a 40-year conflict between the Church and the IRS. It followed a two-year examination of unprecedented scope and depth, encompassing all Church of Scientology worldwide activities. 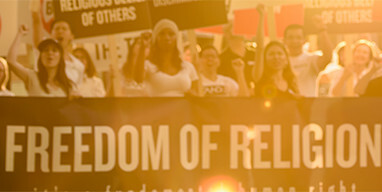 It culminated with the issuance by the IRS of ruling letters recognizing the tax-exempt religious and charitable status of the Church of Scientology International, the mother church of the Scientology religion, and 150 affiliated Churches, Missions and social betterment organizations. The applications, supporting materials and IRS questions and correspondence for the 1993 exemption rulings are available for public inspection and have been available since the exemption rulings were issued on October 1, 1993. These documents occupy more than 14 linear feet and in fact represent the largest administrative record of any exemption applicant. So to say that the Church “has long been suspected” of avoiding paying taxes is a total falsehood and disparagement of my religion. In the future I invite you to refer to authentic news sources for factual information—scientologynews.org, scientologyreligion.org and STANDleague.org.